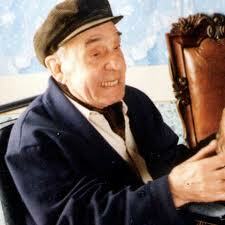 Italian director and screenwriter Angelo D’Alessandro passed away on February 1, 2011 in Rome. He was 84. Most of D’Alessandro’s creative ability was spent on Italian television series and documentary films. He was the creator of the TV series “The Living Gospel” for RAI. Among his credits were as director and screenwriter of the Euro-western mini-series that was later released as a feature film, “The Jack London Story” (1973). Born in Putignano, Bari, Italy on April 17, 1926, he enrolles as a physics student at the Free Academy of Theatre run by director Peter Scharoff where he graduated in 1948. Later after attending the Centro Sperimentale di Cinema in 1951 he worked as an assistant to Lattuada, Fellini and Lizzani, making his debut as a director with “The Attic” (1955). In 1998 he was a collaborator on the magazine “Cinema” as a theater critic.